If your child is questioning their gender identity, you may have questions of your own. 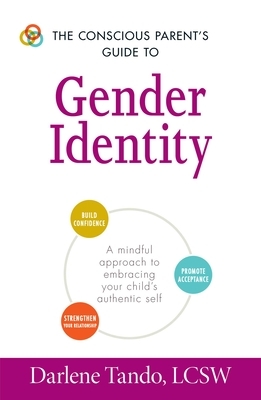 The Conscious Parent's Guide to Gender Identity helps answer those questions, providing a relationship-oriented approach to supporting your child's journey. Conscious parenting means being present with your children and taking the time to understand their point of view. Using this mindful method, you can support and guide your children as they discover their authentic selves. This mindful method of parenting will allow you and your children to strengthen your bond while allowing them to be who they truly are. Darlene Tando, Licensed Clinical Social Worker, is a passionate advocate for and ally of the trans community. Darlene earned her bachelor's degree in psychology at the University of California at Santa Barbara and her master's degree in social work at San Diego State University. She has a private practice dedicated to working with gender nonconforming/transgender youth and adults in San Diego and has been working with transgender individuals since 2006. Darlene has appeared on The Doctors, Good Morning America, San Diego news programs, and the CNN short film Raising Ryland as a gender specialist.